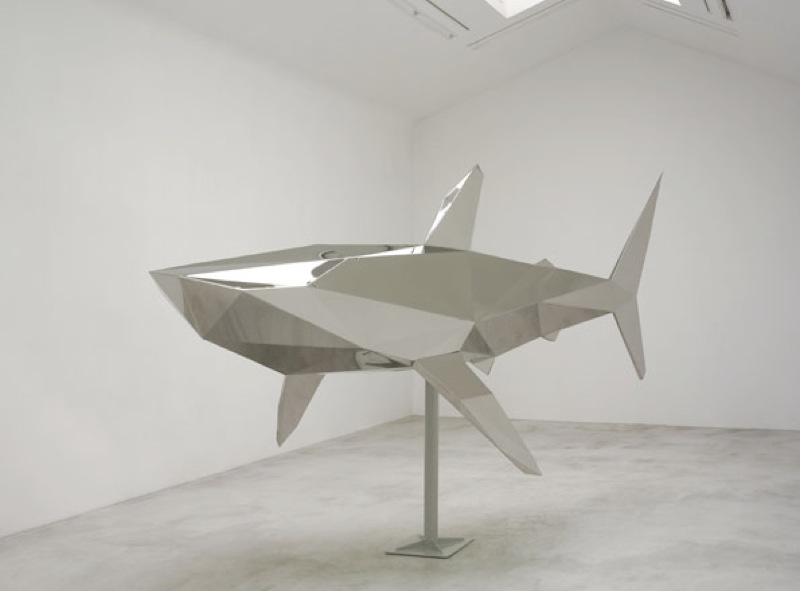 The Emmanuel Perrotin Gallery has two locations, one at 76 rue de Turenne and the other just down the street at 10 impasse Saint Claude. 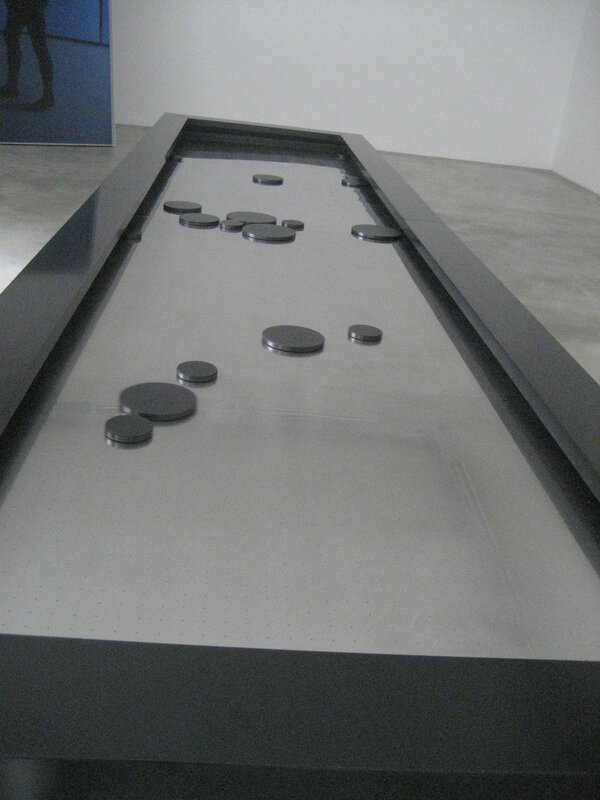 Xavier Veilhan’s feature exhibition titled Furtivo, which means movement, was an akward juxtaposition of works. Singularly you can see how each piece is negoting the theme of movement, yet the exhibition lacked unity. 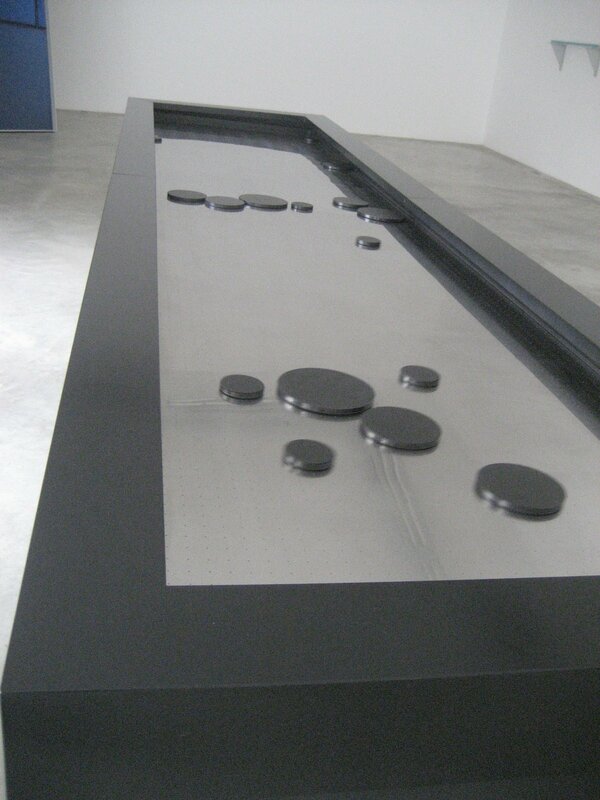 At rue de Turenne, a shark, then legs underwater of galloping horses, then these automatic self-functioning air hockey tables. Mechanical, cold, yes ok movement. 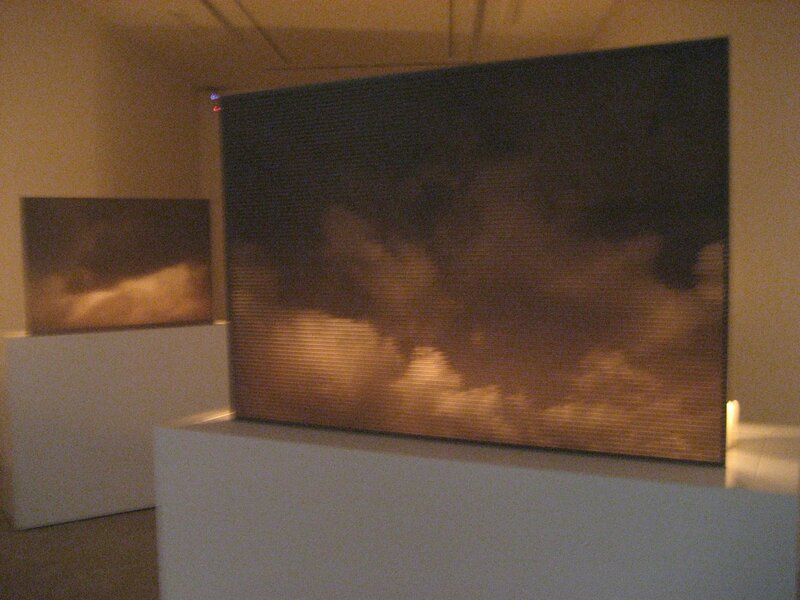 Dramatically polar space of Saint Claude location, Veilhan created these skyscapes with heavy votive candles placed behind perforated metal canvases. Warm, fluid, radiant. 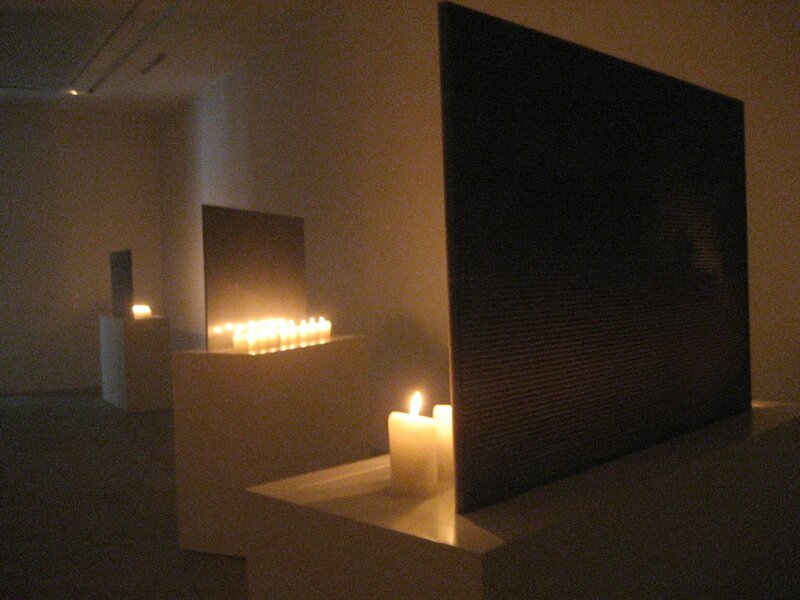 On a sidenote, I saw Moriko Mori in the gallery, working out the space for her up coming exhibition there.